See if you can beat Book-It Bunny in a reading race! In this story designed to engage early readers, charming characters combine with simple text, lively illustrations, and laugh-out-loud humor to help boost kids' confidence and create lifelong readers! 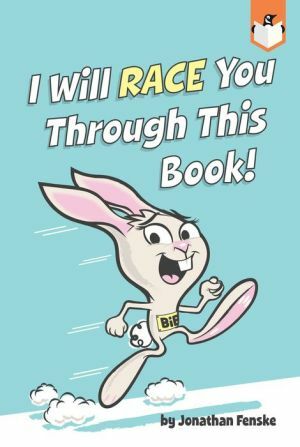 This easy-to-read adventure breaks the fourth wall as Book-It Bunny challenges the reader to race her to the end of the story. But with distractions and tricks up her sleeve along the way, the competition becomes both fierce and funny at the same time. On your mark, get set, read!